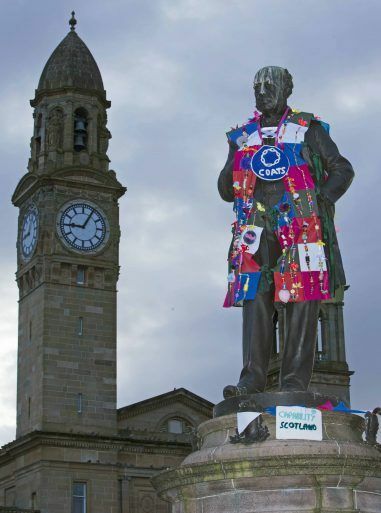 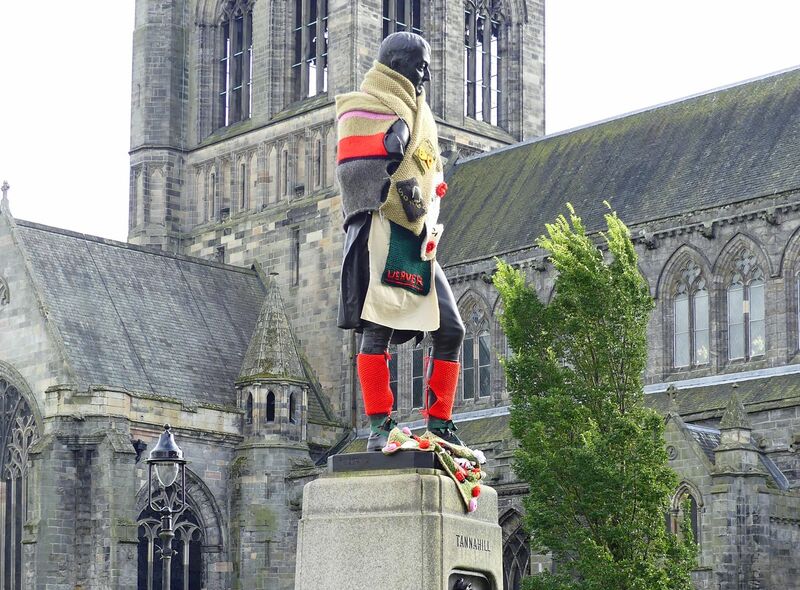 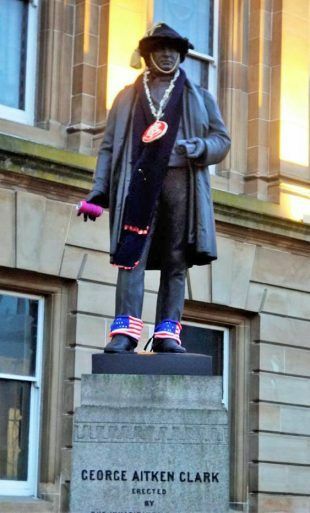 Led by textile artist Ashley Holdsworth with assistance from Bex Smith, Winter Coats saw prominent Paisley statues yarn bombed as part of SMHAF 2017. 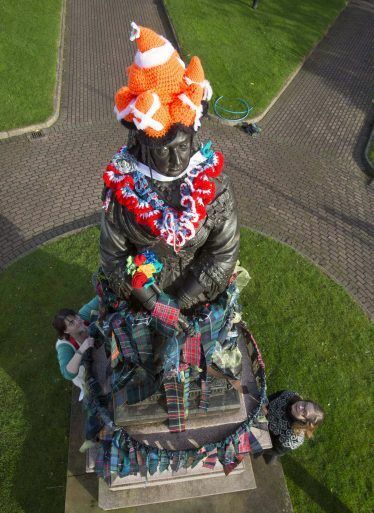 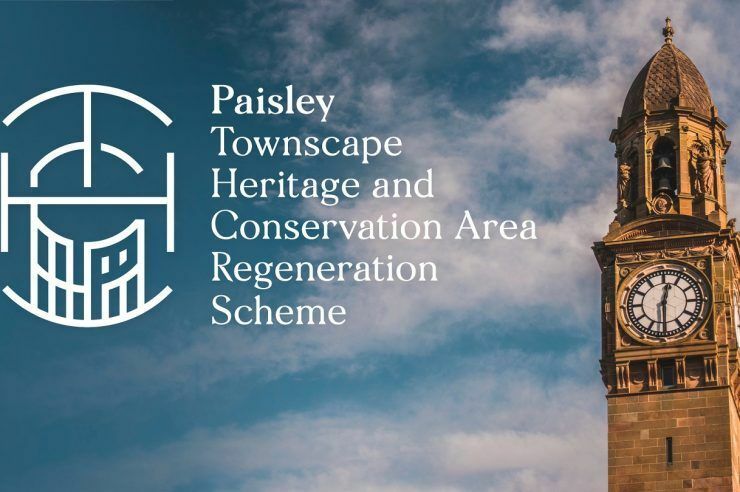 Each of the following groups were allocated statues to research and then make a bespoke decoration for: Laugh n Craft; Capability Scotland; Craft2Recover; the Phoenix Activity Group; The Disability Resource Centre; and Leverndale & Dykebar Hospital Groups. 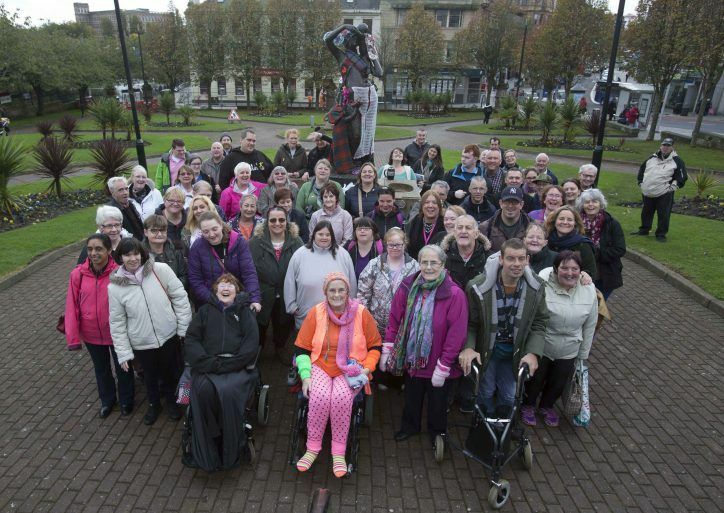 These groups and others also made scarfs with which Dunn Square was yarn bombed for the launch of Renfrewshire MHAF 2017. 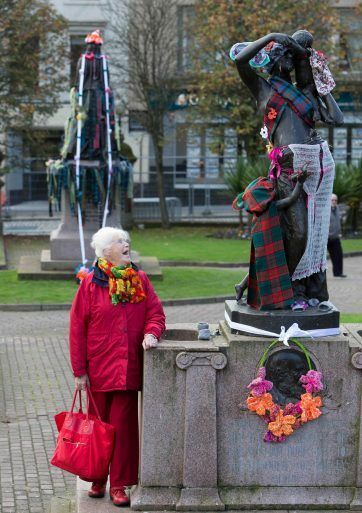 The scarfs were subsequently distributed locally to people experiencing homelessness via the Abercorn Street Service.